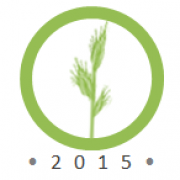 Registration is now open for the 2015 International Brachypodium Conference on 16-19 June 2015, in Amherst, Massachusetts. The conference will be held at the University of Massachusetts Campus Center. This biennial meeting follows successful conferences in Versailles, France in 2011 and Modena, Italy in 2013. Brachypodium has proven to be an outstanding model system for functional, comparative, and heterologous studies in plant biology. We will gather to share and discuss the latest discoveries, tools, and resource developments; establish collaborations; and identify avenues. The conference will be limited to 200 attendees.